Apart from the previously revealed titles praised at film festivals, this year's retrospective of Bhutanese cinema also includes local box office hits. These unique productions, representing the tastes of the local audiences, will have their international premieres at Five Flavours. The modest form, combining the traditions of storytelling with subtle influences of Indian genre cinema, filled with honest emotions and gripping plots, create an unexpected image of the contemporary reality of the country, showing us so much more than the tourist guides ever could. 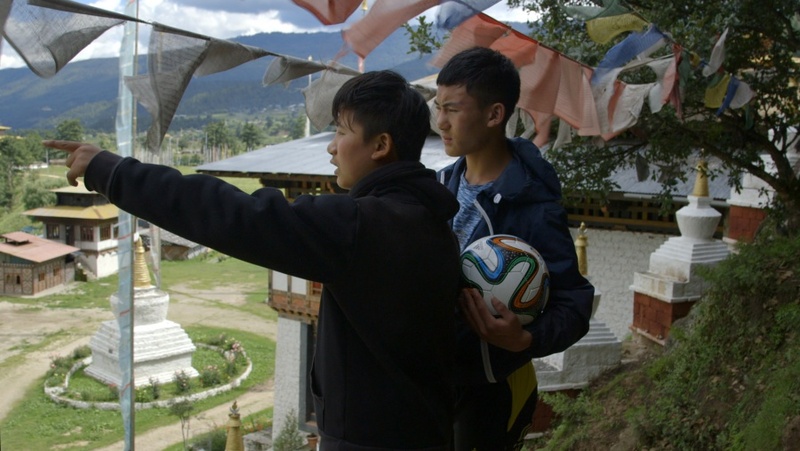 The Focus: Bhutan section is complemented by short features and a documentary showing the contemporary dilemmas of families trying to find a balance between the temptations of modernity and the ancient traditions. The festival guests include Dechen Roder – the director of "Honeygiver Among the Dogs" and the organizer of the Beskop Tshechu Film Festival, Pema Tshering – visual artist, the director of "In the Realm of the Gods," Lhaki Dolma – actress, director, producer, and social activist for women and children's rights as well as Pema Tshering - the producer of "Golden Cousin" and "In a Defiled World," and the head of Thuktro Productions. A Bhutanese criminal blockbuster – a gripping story of manipulation and fraud, marriage intrigues and pure love. A dynamic, emotional portrayal of the modern, less idyllic face of the country. Can the centuries-long tradition of arranged marriages between cousins survive in the contemporary world? A lyrical, romantic story about dramatic dilemmas of a young man, combining the rhythm of ancient tales with the aesthetics of popular cinema. A regular Bhutanese family with two kids – a girl born with a boy's soul, who dreams about a career in soccer, and a boy, who surfs the internet instead of preparing for rituals in the family temple. An impressionistic portrayal of the bonds stronger than the generational conflict. Short features are an important space for artistic expression in Bhutanese cinema, allowing to explore film form and less popular topics. Poetic, elusive, often half-documentary productions provide an opportunity for spiritual contemplation, observing the every-day, and pondering on the mysteries hidden in the tales of old.